Amazingly lush and sensual experience every time you cleanse your face. Clean your face on the go with our water-less face wash. This superhero gel makes all other gels jealous. 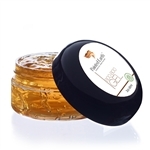 Great for acne, cuts, bruises, burns, mosquito bites... the list goes one..and its fast too. Its one of our best sellers and hard to keep in stock . Geranium Essential Oil is one of the best skincare oils, offering relief from congested, oily and dry skin. 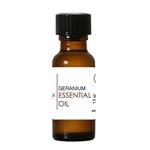 Emotionally, geranium promotes stability and balance.